Walkers have a choice of distances for the annual Angmering Ramble in aid of 4SIGHT (West Sussex Association for the Blind). There are two-and-a-half, five and ten mile routes available on the Angmering Park Estate. 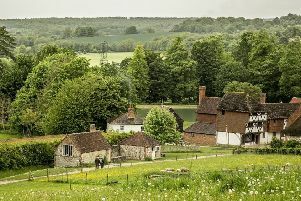 The ramble on Saturday, September 10, at 10am covers the beautiful Sussex Downs, starting from the Dover Barn, just off the eastbound A27 at Poling. The ramble is free to enter, email Kirstie.thomas@4sight.org.uk or call 01273 454343. The charity is celebrating its 95th year of supporting visually-impaired people in West Sussex. Anyone experiencing problems who needs support as a result of living with the consequences of sight loss can call 4SIGHT on 01243 828555.